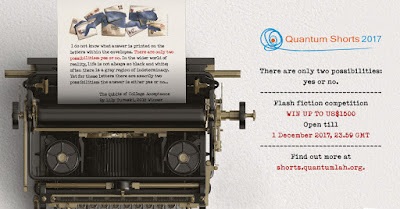 There is much inspiration for your stories on the website, do check it out - looking forward to reading your quantum flashes! Mother Superior agrees to fund Emmylene’s equipment. “Science is so soothing,” she says, her deep voice making it sound biblical. Soothing? thinks Emmylene, almost tempted, once again, to blaspheme. Memories of frogs’ bodies slit open for prying fingers and the shrieking of one girl who vomited violently. Not so much, she thinks. “Pouring from one test tube to the other, the elements of life,” says Mother Superior. Emmylene sees that faraway look in her eyes. “Thank you, Sister Morris. Bless your endeavours.” Mother Superior sits back behind her desk and Emmylene goes to phone the supplier. 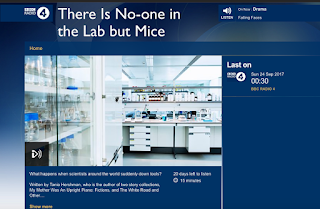 There's No-One In the Lab But Mice - On Radio 4 again! 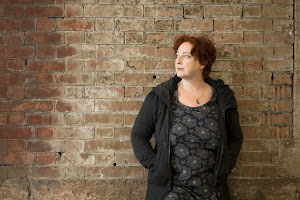 BBC Radio 4 just re-broadcast my short story from last year, There's No-One In the Lab But Mice (produced by the excellent Sweet Talk Productions) in which I imagine what might happen when all scientists go on strike... And they allowed me to read it myself, for the first time! It's now available on iPlayer for those of you in the right regions to get that sort of thing - until Oct 22nd.